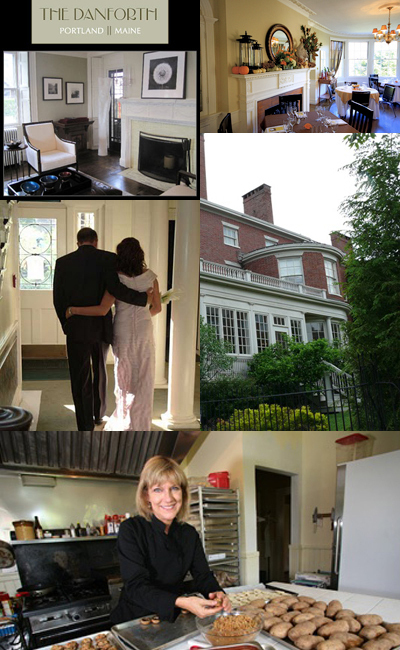 If you happen to be traveling to the beautiful Portland, Maine and you are looking for a romantic, historic place to stay in, or a small wedding venue -- the sisters: Danforth Inn and Pomegranate Inn are more than perfection. Ashley and Jaime are getting married at the Ringling Museum in Sarasota, FL in November 2011. However, Jaime's family is in Portland and that's where we the couple's engagement dinner last weekend. Leslie Cottrel, the owner and chef shares my passion for the fine thing in life and attention to detail and we were able to pull together a stylish, intimate dinner there for the family. A big thumbs-up for the Danforth Inn from Keren. Every girl's dream is to get married in Paris. Ok, maybe it's just my dream but since I already got married (in the most beautiful wild forest setting next to a stunning waterfall, if I might add!) I got to have the next best thing. My dear friend got married in Paris this last winter and I was honored to be a part of the pre-wedding celebration. What can I say, Parisian romance at its finest! 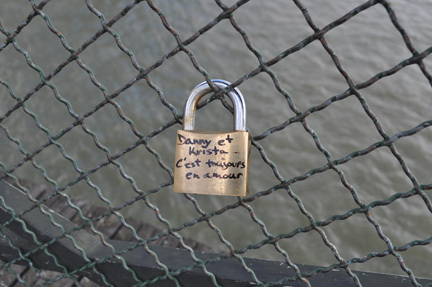 One of my (many) favorite spots is Pont Des Artes, a small wooden pedestrian bridge across the Seine with a gorgeous view of the city where many couples tie the knot of their love... or lock the lock would be more appropriate (their version of ball and chain...hehe, this one can go on for ever!). Seriously, talk about a great way to annouce your love to the world... FOREVER.